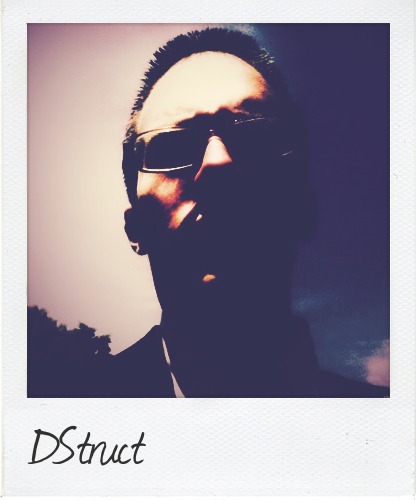 D-Struct AKA John Aronson, is well known for the other-worldly vibe and funky depth of his tunes. A connoisseur of clean, yet dirty production – his sets consist of original tunes and the latest progressive tech Drum & Bass. Some favored labels include: Barcode, Citrus, DNAudio Hardware, Freak, Vision, Virus. Writing his own tunes has kept D-Struct inspired since 2002. Robot Death Squad recruited him in 2004 and shortly after, he co-founded Salvage Recordings with short-wave. The label pushed the first RDS vinyl release and supported a range of digital offerings to the Drum & Bass community. In that year D-Struct honed his dj skills and was soon playing various clubs and venues with the crew. In 2006 D-Struct, BTK and others founded a new crew called Identity. This led to a consistent string of releases, reinforcing his role in the studio as a detailed, quality producer who chases a unique, techno funk sound. His music has been heard in clubs around the world, and been featured in a number of video game titles. As far as the scene goes, D-Struct has been involved with major releases on Barcode, Nerve, Moving Shadow, Onset Audio, Ohm Resistance, Sinuous and many more. He is now working closely with local producers and dj’s to enrich and encourage growth of Drum & Bass in Seattle. Look out for his latest tracks Golden Dawn and Jupiter Twist on Onset Audio.